Robert Harneis –TDO- (FRANCE) During the course of the visit President Emmanuel Macron and Prime Minister Narendra Modi will co-chair the founding conference of the International Solar Alliance (ISA), which was launched by the Indian Prime Minister and the then French President Francois Hollande, during the Paris climate summit in 2015. Indian cities suffer severely from atmospheric pollution. During the course of his stay in India, the French President will also visit Agra and Varanasi where he will inaugurate a solar power plant built by a French company. 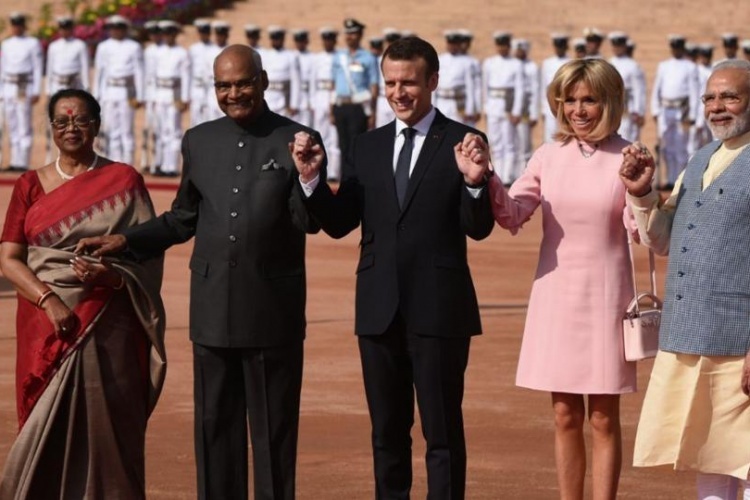 On arrival on his first visit to India, President Macron said that he wanted ‘to seal a strong pact between our two democracies’. A principal aim of the visit is to increase French trade with India which is the second most populous country in the world but only France’s 18th trading partner. Macron commented ‘your historic partner until now has been the United Kingdom; now I would like it to be France’. On the first day of the visit the French aeronautical company Safran signed a contract for €12 billion with the Indian low-cost airline SpiceJet for the supply and maintenance of aero engines. France is also hoping to sign a contract for the supply of six EPR nuclear power stations to India before the end of the year. Negotiations have been ongoing for several years. On defense cooperation, Prime Minister Modi said "Both of us agree that the Indian Ocean region will play a significant role in the future for the peace, prosperity and development of the world. Whether it be environment, maritime security and resources, freedom of navigation or overflight, we are committed to strengthen our cooperation." Modi said the two countries were releasing a Joint Strategic Vision for cooperation in the Indian Ocean region in what Delhi hopes will be a counterweight to China given Beijing's increasing influence in the region. The two sides signed an Agreement "for the provision of reciprocal logistics support between their Armed Forces, which seeks to extend logistical support on reciprocal access to respective facilities for Indian and French armed forces". "We share a deep defense relationship and we see France as one of our most trusted partners in this area," the Indian PM said. "All services of our defense forces regularly hold discussions and conduct joint exercises. We have strong ties in defense equipment and production. We welcome France's commitment to ‘Make in India’ in the defense sector." President macron is accompanied by his wife Brigitte.